I’m participating in a goal setting exercise for 2017 and have also been dabbling in business coaching. Although I’m very high on both, I noticed something missing in my heart. Goal setting is usually built around how to get something… “What I should do, Information I need to learn, and different ways I need to behave.” It’s all focused on my attitudes and actions. The reality of Kingdom is that our assignments are “normally” beyond our own strength. Half of the equation is learning to receive from God, not just learning to get. In fact, the things we do get come from a foundation of knowing how to receive first. It’s not grace or works; it’s not grace vs. works. Kingdom is always both… receiving, then giving; Identity and calling first, ministry and vocation second; first commissioned, then sent. How to receive? – When we think about going to the next level, most of us have a pretty good idea of what we should being doing and the results that it should produce. What we’re missing is how to walk with our Father and receive the part we can’t produce on our own. Life and success are never defined or produced by a set of principles alone (spiritual or practical). We are always changed and promoted by an experience of the heart. Mental knowledge is necessary and good (the what of goals), but wisdom belongs to the heart and tells us why (rooted in an experience). Wanting what without knowing why is the reason goal setting usually fails… and fails to touch our hearts. Knowing the why (wisdom) is always the foundation for doing the what (knowledge). Regardless of what we think, our hearts are driving the bus. Permission – One of the first experiences is having permission to pursue the desires of our own hearts. It’s premised upon the experience of knowing that God put those desires into our hearts and that they are shared in His heart. Reading the information that the Kingdom is within us is one thing, but knowing that His desires for the Kingdom already reside in our hearts is an experience… that liberates us forever. Co-laboring – The second experience is the sense of working with our Father. The things we do can be immeasurably beyond our own abilities because His power is at work within us – that’s an unmistakably blessed experience! We operate in a measure of His power and authority working in us (anointing). It feels like being carried or empowered. It changes our identity to son and then king, and we feel included in a great army building His Kingdom right now – we’re not waiting for heaven or breakthroughs anymore. We’re engaged in a personal assignment… centered around the desires of our heart, yet with a personal awareness that they are also the desires of the Father’s heart. Dreams do come true! Love – The third experience is that once we enter the love of being chosen by God for ourselves, we are always able to see other people in the same light of their calling… and help them realize it. They will always experience “LOVE” when we prophetically touch their call… and they love us back. Even when people are broken and fighting against God, the experience we have is the awareness of their calling and a love that chooses them… just like God chose us. Assignment – When we review our lives and think about goals, it’s wisdom to have the right balance of external goals and internal experiences. The biggest question we all face is, “What’s the next heart experience that God has for me to release a new level of grace and power? God is searching to find and promote people who share His heart. It’s a level beyond trying to implement principles or ideas with goals. We share His Why because we’ve experienced it in our hearts. The transition experience from servant to friend – 1) When we first meet Jesus we hear something in our hearts that says “follow me.” So we do. It’s simple obedience, we welcome mentoring and pastoral oversight, and we grow because of it. 2) As time goes by and we test our wings and experience success and failures in our faith, we also are brought to a place of brokenness. We lose our desire to have our own way, and just yearn for His way. 3) In the third stage we receive an invitation from the Lord to transition from servant to friend or King and reign with Him. Just when we drained ourselves of initiative, God invites it back and we find a place where our will and His will overlap in the desires of our own heart. People who are connected with their own hearts are successful in business, in life, and in relationships. 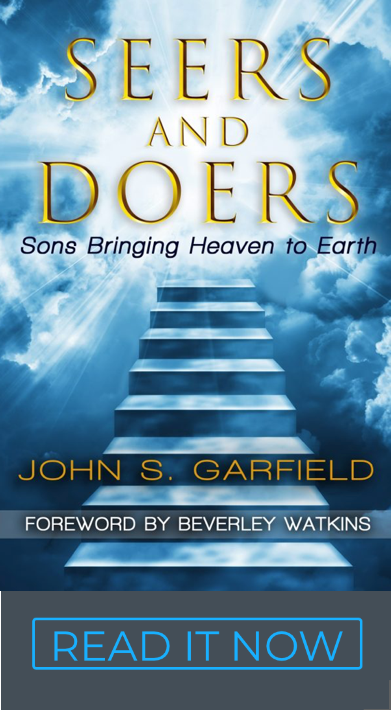 Great accomplishments are preceded by connected hearts and motivated people who are doing what they naturally enjoy… fulfilling a Kingdom destiny because they have tapped into the reason they are here. Their work is worship and their accomplishments are crowns laid at the feet of Jesus. They is us… we’re destined for something great, each one of us.